With the rise of aggregator firms looking to buy up wealth managers, and others offering outsourced support, the number of options for adviser firms looking to either grow their businesses or cash in their chips has never been greater. However, the plethora of options can also create headaches for firms trying to navigate the range of complex offers and opportunities to make sure they are making the right decisions for themselves and their clients. 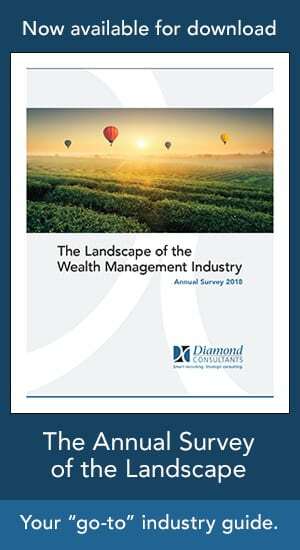 M&A has become the new normal in the wealth management industry with the likes of Mercer Advisors, Kestra Private Wealth Services and Dynasty Financial Partners, among others, growing their ranks on a regular basis and providing several different proposals for the wealth management community. For the sellers they acquire, this glut of transactions is often in pursuit of independence from the big wirehouses. Other catalysts for deals include an aging industry looking to plan for succession, advisers needing support to fuel additional growth, and investment professionals wanting to focus on their businesses without being hampered by the back and middle office strain that comes with scale. 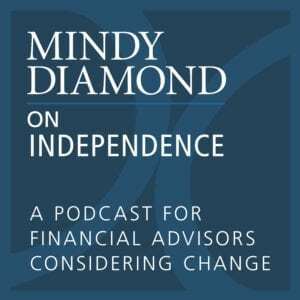 Employee-based advisers that work at the big brokerage houses are increasingly attracted to a more independent structure, according to Diamond Consultants President and CEO Mindy Diamond, who says this is leading to growth in the size and number of independent firms. Diamond says that standalone firms will almost always reach a ceiling for growth. They then have a choice between investing significantly to reach the next stage of development, merging with another business, partnering with an outsourced platform provider who can help facilitate growth or being acquired by a larger entity. One of the biggest choices is how much firms value their independence. Platforms such as Sanctuary Wealth Partners, Dynasty and Kestra have increased in prevalence by offering a model for advisers to offload back and middle office responsibilities while maintaining investment and business autonomy. Investment choices can also be centralized through these platforms too. These factors have combined to create a huge spike in M&A. Last year 123 high-net-worth RIAs were involved in transactions, compared to some 30 to 45 in 2008 or 2009, according to Silver Lane Advisors Managing Partner Elizabeth Nesvold. With a big range of aggregators offering a number of different acquisition models and servicing options, alongside the potential for smaller M&A opportunities, the decision-making process for firms looking at their options can be tough. Different buyers can be a better fit depending on where firms are in their business cycle, from younger firms looking to build long term capital, where future wealth opportunities are a reason to make a move toward independence, to firms further down the pike looking to monetize their client book or arrange a succession plan without having an heir apparent. The aging demographics of industry principals are also driving this uptick in transactions. Many firms are facing impending issues around succession and continuity planning, according to Nesvold. Some of these firms may have a good second-generation adviser willing to take over but that doesn’t mean they have the means to fund a buyout. Another impetus for transactions comes from growth-oriented advisers that are looking for added resources to help them build up their firm, for instance a capital supplier who is willing to fund organic or M&A growth or a firm providing back and middle office support so internal resources can then be refocused. Barriers to growth are the reason why acquisitions have become more popular than mergers, according to Diamond, as scale and capability is not always solved by two similar sized firms combining. “There are more opportunities available to sellers, but it is confusing because some of those models want to take a stake and help you offload capabilities and others want to provide financing for you to derisk and others want to own you outright. The good news is the spotlight is on the wealth management community in that,” Nesvold adds. GFS Private Wealth had to parse the complex range of M&A options before being acquired by Mercer in February of 2018. The decision to look for a buyer came from difficulty attracting talent and growing its scale and capabilities to service a nationwide client base, according to Co-Founder and Principal Sandra Nesbit. After her firm was acquired by Mercer, she took her current role of managing director at Mercer and found herself on the other side of deals, heading up M&A activity in the southeast for Mercer. Unlike firms that are driven to the table by succession or impending retirement, Nesbit says she had “runway left,” but needed someone that would help with scale and that she could also offload back and middle office functions to. She says she was attracted to Mercer’s process of fully integrating firms they purchase, in contrast to options to just outsource back and middle office responsibilities or to be part of an aggregated firm where businesses remain separate. With many distinct types of buyers, the due diligence required when looking to sell or partner with another firm can be a daunting task. Nesbit says due diligence efforts can turn into a full time job, leading some firms to outsource this task. She also had concerns that conducting a smaller deal would mean having to return to the same decisions again in a few years’ time, a process she didn’t want to put the firm or its clients through. As a buyer, Kestra Financial President and CEO James Poer says he is looking at a raft of indicators. These include quality of earnings, confidence in retention of the client base, quality of staff and second generation options, demographics of the client base, operations, regulatory background of the firm and a realistic business valuation. Firms are going for a wide range of price to earnings, with valuations influenced by issues such as previous regulatory records, growth history and the connection the firm has to second generation advisers. However, rough estimates are that advisers with under with $250m in AUM can typically get four to six times their cash flow, from $250m to $500m in AUM there is an uptick to five to six times cash flow, for those with $500m to $750m in assets it is six to eight times cash flow, from $750m to $1bn it is seven to nine times cash flow and over $1bn it is eight to ten times the cash flow. “Larger firms with a systematic approach to managing wealth are worth higher multiples than those that are made of a random accumulation of stuff. Not all firms are created equal, you could have the same top line revenue and a lot less earnings. Ultimately, we all buy earnings or revenue we can convert to earnings,” Poer says. He adds that Kestra places a high value on consistent recurring revenue and a sophisticated financial planning approach. He says certain sellers are attracted to the entrepreneurial approach the firm offers, where advisers remain autonomous on investment decisions, while others want to be bought outright and more closely directed. Kestra will take over central services but wants its firms to have autonomy when it comes to investment decisions and other advisory responsibilities that are specific to the clients. Poer adds that sticking points in negotiations are often around the demographics of staff and clients, the needs of the business, centralization of models, quality of operations, and how much equity a seller is looking to give up. A common profile for sellers is an advisory team looking to leave a wirehouse. Dynasty Director of RIA Growth Strategies Joe Rizzo says compliance at the big firms can be very prohibitive, a factor that often drives advisers to the negotiating table in the first place. He then says the focus is on creating an attractive package based around upfront capital and/or equity through one of its member firms. Dynasty provides member firms with capital to bring on other advisers who then pay Dynasty a platform fee and are given a number of options to either sell out over time to the member firm or become an equity partner in the member firm. Mercer Advisors M&A Leader David Barton says that with 13,000 RIAs in the US there will always be a place for small RIAs operating independently, but adds that the trend toward consolidation and growth in large aggregators such as Mercer will only continue. The increasing size of “mega firms” allows for investment in technology and services that gives a leg up in an investment space where high-net worth investors and families increasingly expect such levels of servicing, he adds. Barton says the biggest appeals for sellers include cultural alignment, a better work-life balance and the ability to focus on the part of the job they enjoy and not be as burdened with menial tasks they dislike. From a client perspective, Mercer values continuity and often requires the seller to stick around to ensure the consistency of client servicing. For firms looking to be acquired or to partner with larger businesses, a huge amount of hard work is required and advisers will need to ensure that their interests, and those of their clients, are truly aligned with the business they are becoming part of. “As the waterfall of possibilities has expanded the good news is there are more options than before, but the bad news is it can be overwhelming,” Diamond adds.